Kolkata: More the merrier! The state government employees in Bengal will enjoy a straight 14-days holiday during the Durga Puja next year. 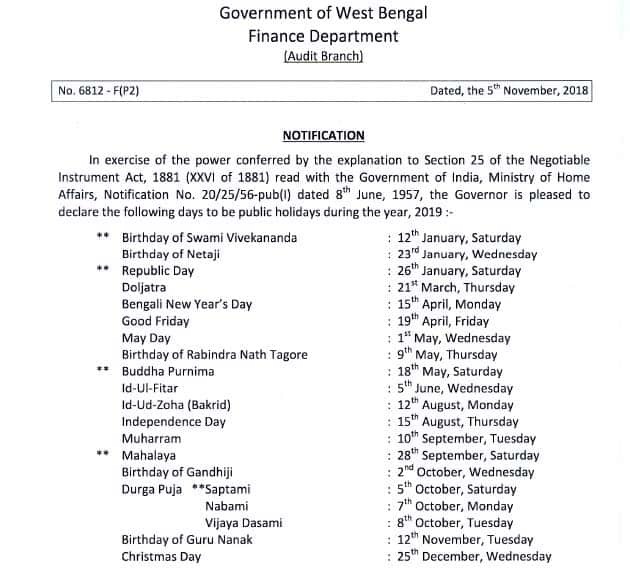 This is because the government has stitched other holidays to the actual Puja days by declaring additional holidays on the working days that fall in between. The state finance department today published the notification listing the public holidays in its offices for 2019. 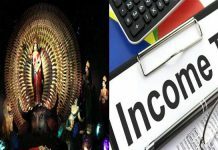 Going by this, the employees will enjoy 14-days Puja holiday that will start with the Gandhi Jayanti on 2 October and end on 15 October with an additional holiday for Lakshmi Puja that day. That’s not all! 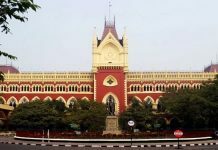 During Kali Puja and Deepavali, the state government offices will remain closed for eight days in a row. It will start with Kali Puja on 27 October, Sunday, and conclude on 3 November, as it also happens to be Sunday on the next day of the holiday on Chhat Puja. Also, keeping the sentiments in Nepali-dominated Darjeeling Hills, the state government has notified holiday on the birth anniversary of poet Bhanu Bhakta on 13 July. This will be, however, only for Darjeeling and Kalimpong districts. 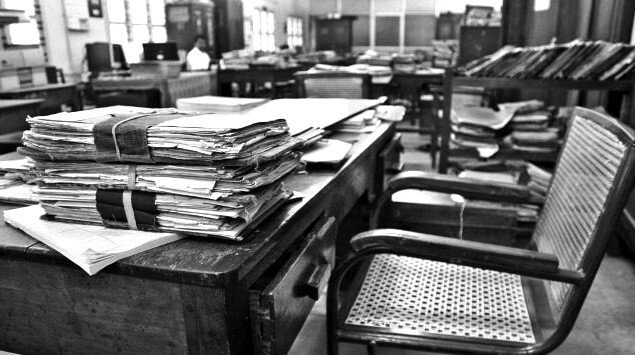 Going by the gazette notification, next year, the state government employees throughout the state will enjoy 37 holidays. This is in addition to Sundays when there is a holiday in all the government offices by default. 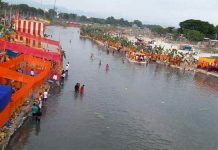 Then, there are sectional holidays for particular communities during their festival days and localised holidays for specific districts on occasions of local importance.